The proceedings of Braids 2016, Braids, Bands and Beyond is now available for purchase from the Braid Society (outside the USA and Canada) and from Braidershand (braidershand.com) and Giovanna Imperia Designs (giovannaimperia.com) in the USA and Canada. This wonderful book contains articles relating to all the workshops and talks given at Braids 2016 and is a wonderful addition to anyone's library. Final call for registrations for Braids 2016. Registration will close on 31st May 2016. Due to a few cancellations, there are spaces on some classes that were previously full. There are still places at Braids 2016 with lots of classes still available covering tablet weaving, inkle weaving, kumihimo, hairwork, bobbin lace and ways to use your braids. It is a wonderful opportunity to learn from some of the best braiders in the world. For full details go to Braids 2016 option on www.braidsociety.com to download the programme. During Braids 2016 we will be holding an informal marketplace on Monday and Thursday from 7 to 9 pm. This will be an opportunity to buy articles and supplies from tutors and attendees. We recently sent out a request to gauge the interest in being a vendor and we were inundated with responses. We have worked through the logistics with the University and they are now at maximum capacity and cannot accept any more requests. Given the nature of the conference, this is not a typical vendor hall however, there will be lots of tempting items and books for sale so do bring your money with you. The marketplace will be open to the public as well as conference attendees. You can interpret the theme as you wish and use whichever braiding technique you fancy. Perhaps you have started a braid and not quite finished it yet or you have an idea but ran out of time - the deadline has been extended to February 24th to send your entries to Averil Otiv. The Travelling Exhibition is how we demonstrate to the world what braids look like and what you can do with them. It is shown at shows all around the UK so we welcome a wide range of techniques. All full members of the Society can participate. Long haul members are most welcome to upgrade their membership so their work may be exhibited. Please include a photograph and short text of the influence in the creation of the piece. Happy New Year! 2016 is here and it is going to be a great year with our Conference in July. That is only a few months away and I'm sure that those who have registered are looking at their travel arrangements and thinking about what to bring. We will be contacting those who have registered in the next few weeks. If you have not yet registered, why not revisit the programme and take another look. Over the next few days, we will post information about classes that still have spaces just to tempt you to take a look. 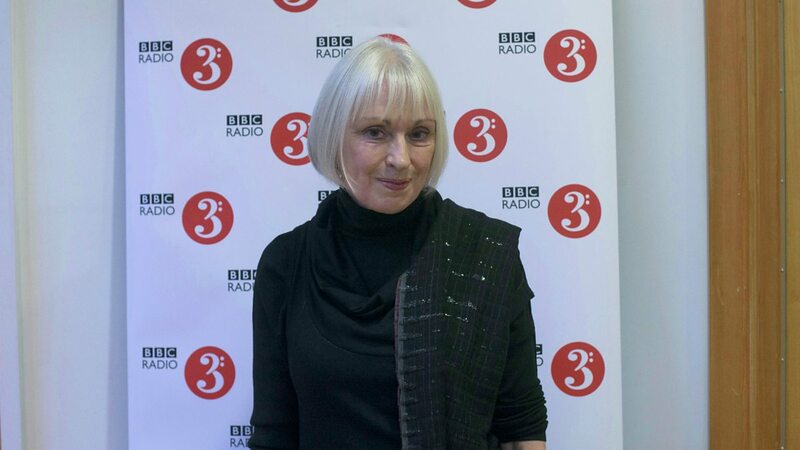 Sarah's guest this week is the jeweller and trained classical musician, Catherine Martin. Registration is now fully open for our exciting conference, Braids 2016 - Braids, Bands and Beyond. A number of the classes are full but there are still many wonderful classes with space for attendees. It is an opportunity to meet the best braiders in the world with a wide range of skills. Further details can be found in the Braids 2016 programme and on the page of Tutors. There are lots of photos of what the tutors will be teaching. Braids 2016 registration has opened for all Braid Society members and the places are filling fast. To date we have 121 registrations with a limit of 200. Some of the classes are full so will not show when registering for the conference. Some minor changes have been made to the programme for Linda Malan's class and Michael Hattori's biography. These are in V13 of the programme. Following her excellent talk at the AGM and the article in Strands 2015, an additional pattern has been placed in the Member's area under braiding instructions.